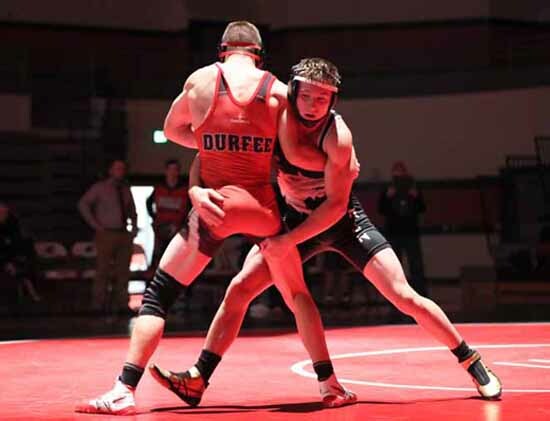 Dylan Gregerson started wrestling in seventh grade based on a drive to get better at football. Little did he know, wrestling would take him even further than his original proposition. High school was a vital point in his career development as it allowed him to step up his game. “It was a completely different environment, competition was harder and I needed to be stronger,” Dylan said. In the state tournament Feb. 8 and 9, Dylan was ranked No. 1 before the 138-pound competition even started. He easily handled all the opponents he faced, being aware was the hard part. 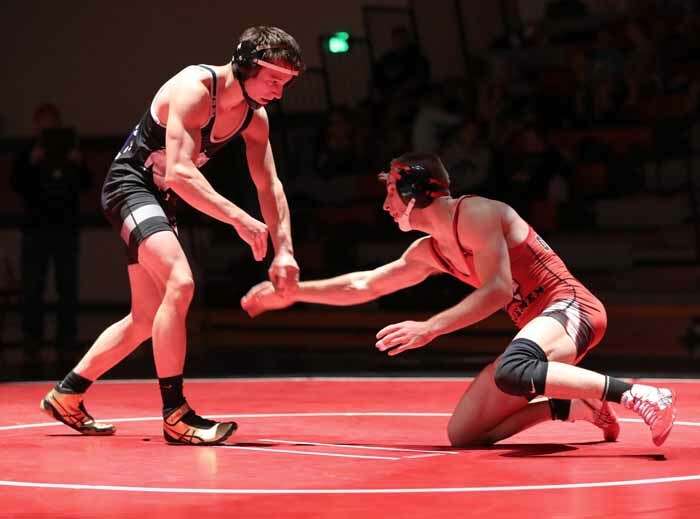 Once the final rolled around, Dylan went up against Region 4 rival Lucas Taylor of Lone Peak, who he had already wrestled earlier in the season, so the match was easier considering his opponent was familiar. Dylan beat him both times and the second one landed him a first place spot on the podium. Dylan’s inspiration comes from his coach, Dwayne Henry. Dylan has received several college offers with wresting. He says he wants to continue the sport in college and eventually advance to the Olympics. He plans on taking an offer from Northern Michigan University. Dylan said that school attendance is heavily affected, but with the help of teachers that are willing to work with his schedule, school has never been a problem. As a freshman, he went in to gain a spot on the team. There are no tryouts, just a match to win the spot, which he won to gain the spot and begin his career as a wrestler for Riverton High. An aspiration to be a state champion started there. He held a high expectation from the beginning, without any doubt that he could do it. It was something that was anticipated from the start. Throughout high school, Dylan climbed a ladder of success. During freshman year, state wasn’t even an option. Sophomore year came around and he got there, but didn’t place. Junior year he placed, but lost in the semifinals. The series of failures led up to the top of the ladder. Placing first at state as a senior was where aspiration met reality. Something so long anticipated became real. “The feeling was so relieving knowing that I finally made it, it was just a huge relief,” Dylan said. After high school, wrestling will still remain constant in Dylan’s life. Northern Michigan will definitely be stepping up its game in the next few years. Riverton High student Lexie Auger wrote this story as part of the Preps Utah student journalism program, powered by Bank of American Fork, which will award two of our published student journalists college scholarships at the end of the school year. 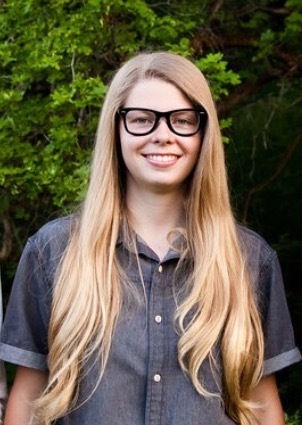 She is on the newspaper team at Riverton High and loves to write. Auger wants to become a writer for SLUG Magazine in Salt Lake.